Product code: 1775 Categories: Sold Items, Sold Jewellery. This is a very attractive and elegant antique bangle set with sapphires and diamonds that is still in wonderful condition even 120 years later. 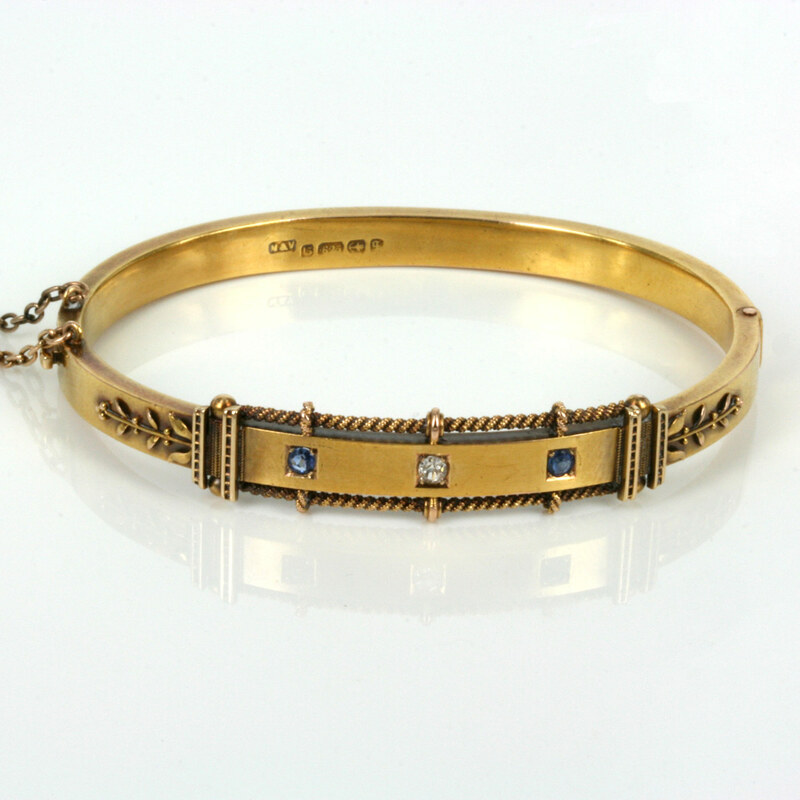 Made in Birmingham England in 1890, this antique sapphire and diamond bangle measures an elegant 8mm wide and being hinged sits so nice and close to the wrist. The detail on the side of this bangle is so charming and what makes so many antique pieces so sought after. Made in 15ct rose gold, this sapphire and diamond bangle is just perfect for anyone for any occasion.